Hickson & Vaelua star for Premier Women & patient Money Half-Century ensures Premier Men secure a draw! It was a game of patience between University and Papatoetoe with the sides unable to be separated leaving the points to be shared. University batted first, Lance Shaw (1-37) got Pap off to a dream start picking up an early wicket. Vijay Anand (55) scored a measured half-century to steady the ship for his side. Wajihuddin Muhammad (54) also cashed in with a half century to help Uni set a competitive total. Nav Aujla (4-68) bowled well for Pap picking up wickets at regular intervals to keep his side in the contest, Uni finishing the first dig 222/9. Jeet Patel (4-51) was excellent with the ball for Uni keeping it tight whilst picking up regular wickets to put the squeeze on Pap. Stephen Money (51*) dug in for Pap scoring his runs off 147 balls in a display of concentration, which kept his side afloat. University unable to dislodge Money, Pap finishing the day 133/6 leaving the points shared. Premier Women secure Massive Win over Parnell with Hickson Ton and Vaelua Five-for doing the damage! It was a day of milestones as the Premier Women hosted Parnell on Papatoetoe's number two last Saturday. With the visitors winning the toss and electing to bowl first, it wasn't the best start for the home side as opener, Feala Vaelua (3) was dismissed early in the second over. 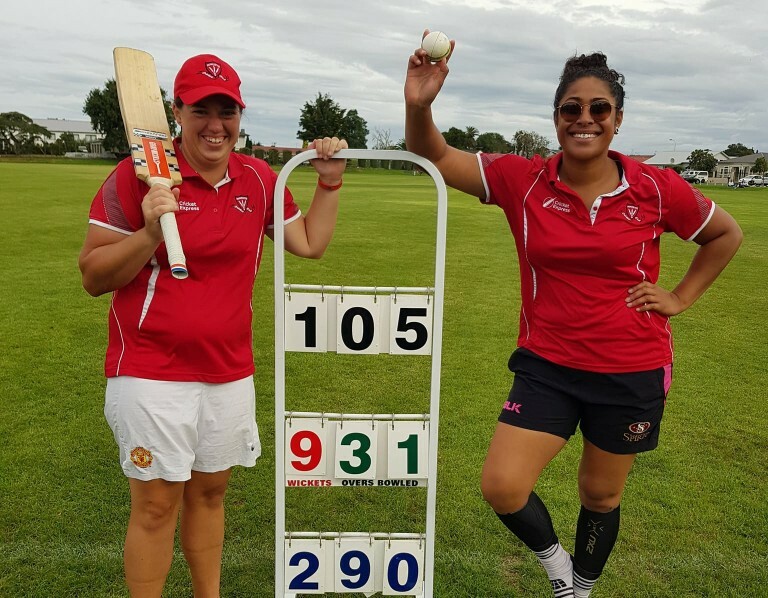 However, Papatoetoe's birthday girl, Tess Hickson and player/coach, Regina Lilii (74), took control of the innings with a massive 191-run partnership. Hickson made a day of it by cruising to her maiden century for Papatoetoe and top-scoring with a classy 132 off 147 balls. 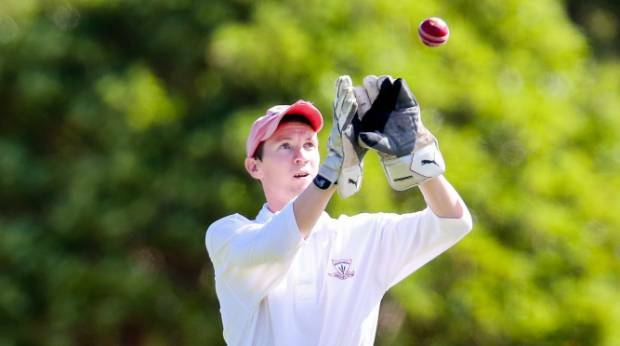 Via Meritiana Andrew also contributed a valuable 34 runs to help the home side to 289 runs off their 50 overs. With a decent total to defend, Papatoetoe's opening pace bowler, Vaelua made no mistake of making her mark early on Parnell's batting order as she removed opener, Polly Inglis, caught behind for a second ball duck. Lagi Telea, also did her job with the ball as she removed Alisha Hyndman, caught at mid-off for a golden duck to have Parnell in a heap of trouble early on. There was slight reprieve for the visitors as Hetali Patel (20) and Shriya Naidu (24) put on a 34-run partnership before the dangerous, Vaelua came back for her second spell to remove Patel caught behind almost immediately and cleaning up the middle order to take home her first five-wicket bag for Papatoetoe and best figures of 5-15 off her 10 overs. The bowlers were well supported by the team with some great glove work behind the stumps by captain, Lelia Bourne, taking three catches, along with her sister, Leiu Bourne taking a good catch at mid-on and young-gun Caitlin Hakeagatoa taking her first catch in the premier grade. Telea and Lilii also chipped in taking two wickets each to have Parnell all out in the 34th over for 108 runs. The Premier Women are still sitting in third place after Takapuna who they will host this Saturday on the number two alongside the Premier Men who take on East Coast Bays on the number one. The Premier Men Reserves finally got into some two-day cricket in an important match-up against Cornwall last Saturday as a win would have ensured Papatoetoe were still in the hunt for a top-two finish at the end of the season. Unfortunately in a reduced format match as a result of losing day one to the weather gods, Papatoetoe fell short with the bat after being sent in by former Papatoetoe Premier batsman and current skipper for Cornwall, Jamie Hayes. Cornwall managed to keep Papatoetoe to a measly 130 runs with Aue Parima, the stand out scoring 35 at the top of the innings. With the ball, Papatoetoe started with a bang with Cornwall in trouble at 60 for 6, but the lower order saw the competition leaders home. Papatoetoe needed another 30 runs to really create any pressure on the experienced Cornwall side. The reserves head into next weekend's fixture against a strong Eden Roskill team needing a big win to have a real show heading into the last game of the season to make the top two. The Premier Women Reserves had a great day hosting Kumeu on Papatoetoe's pitch 3a. With the home side winning the toss and electing to bowl first. Papatoetoe's bowlers wasted no time as they attacked early taking quick wickets starting with youngster, Hannah Burns getting some great shape with the new ball removing Kumeu's opener caught behind. Koitai Mataora, MIrioni Rivaia, and Nickie Maro also contributed well with the ball along with some sharp fielding, and good field placement to help restrict the visitors to 116 runs. In response, Papatoetoe cruised to a six-wicket victory in the 14th over with opener, Rivaia seeing the home side through to the finish line along with young-gun, Claudia Vaotuua. NB: No scorecard available on CricHQ yet. Man of the Match: Shiv Inder Singh Gill (Harry) (FFCC) for his quick fire knock of 41 from 16 balls which included 5 sixes and a four, was eventually the score difference between the two teams. Man of the Match: Paramjit Singh Pannu (Maher XI) for scoring 76 of just 42 balls. 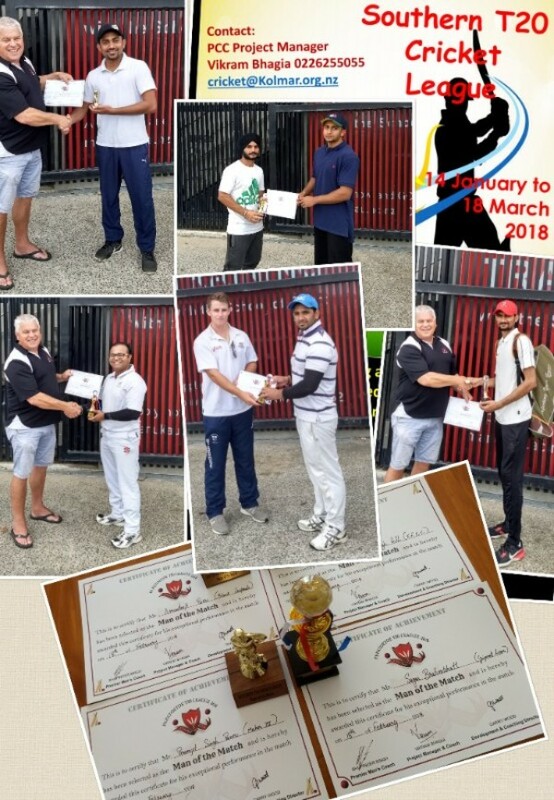 Man of the Match: Amandeep Passi (Black leopards) for his all-round bowling (4-0-16-2) and batting (71* n.o.) performance. PAPATOETOE CC, BOYS YEAR 7A. PARNELL CC, BOYS YEAR 7A RAINGER. PARNELL CC, BOYS YEAR 6 PREMIER JARVIS. PAPATOETOE CC, BOYS YEAR 6 PREMIER. PAPATOETOE CC, BOYS YEAR 6B BMFS. EDEN ROSKILL CC, BOYS YEAR 6B KINGS. PAPATOETOE CC, BOYS YEAR 6B RED. PAPATOETOE CC, HOLY CROSS U15A. PAPATOETOE CC, GIRLS U15B FUTURE HEARTS. PARNELL CC, GIRLS JUNIOR HEARTS. SAPPHIRES. PAPATOETOE CC, HOLY CROSS U12A. PAPATOETOE CC, GIRLS U12B JUNIOR HEARTS. CORNWALL CC., GIRLS U12B KHUSBOO PATEL.